OCTAFX announced Monthly Real Contest Supercharged 2 Promotion offer. Every round we choose the best of the best among our skilled clients and award the top 3 traders with a Supercharged 2 award the top 3 traders with a BMW X5 M, Lexus GS-F, Honda Civic Type R prize. JustForex announced to new and existing clients by offering them New Year Live Trading Contest. Start 2019 with Extra $1000 USD and Take an epic journey into the forex markets with JustForex latest trading contest. FXGiants delighted to reward new clients by offering the opportunity to start trading December Live Competition brings something memorable and extraordinary. Explore Europe in a way you never did. This 26-day tour package will take you through over 25 destinations in Europe. Explore the charming historical cities on the Danube, be amazed by Colosseum and Pantheon in Rome, visit romantic France, conquer breathtaking Swiss Alps and explore the tastes of Luxemburg. We are happy to inform that IronFX announced October Live Trading Competition, offering the most breathtaking prize yet. Grasp the opportunity to experience the magnificent beauty of Central America. The Prize includes 13 days in Belize, with 11 breakfast, 3 lunches, 2 dinners, accommodation and flights for 2, all transport and activities-such as snorkeling tour, camping by the Uaxactun ruins, trek through jungle- and tour leader throughout. FXTM is glad to announce Latest Live Trading Contest for all of its traders. Every existing and new traders is eligible for this offer (China, Hong Kong, Taiwan and Macao). Traders with the highest profit percentage will come out on top and share the gigantic $30,000 Prize. Take an epic journey into the forex markets with FXTM’s latest trading contest, The Forex Chronicles. Don’t let this opportunity pass you by. Supercharged 2 Live Trading Contest win 1st prize BMW X5 M. Any MetaTrader4 or MetaTrader4 account containing just $50is qualified for Supercharged 2 and can win a smartphone or two, or even hit the jackpot at the end of the contest year and claim one of the luxury cars we prepared for the best of the best. 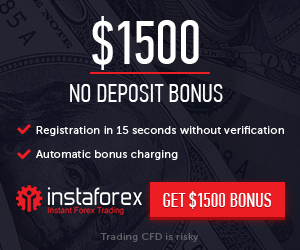 Welcome to IronFX Exclusive Promotion Adventure Package in Iceland or $5000 Cash prize. IronFX the launch of the October Live Trading Competition, offering the most life-enriching prize yet. Grasp the opportunity to experience the magnificent beauty of Iceland’s glaciers, walk through the Seljalandsfoss waterfall, discover Iceland’s famous fishing villages and cherish the wonders of Iceland’s volcanic creaters on a 3-day adventure package. Don’t let this opportunity pass you by. Welcome to FXGiants Exclusive Promotion South African Adventure Holiday Package or $5000 Cash prize. FXGiants the launch of the September Live Trading Competition, offering the most life-enriching prize yet. holiday package combines adventure with relaxation to discover this breath-taking part of the world, at its best. Don’t let this opportunity pass you by. We are happy to inform that FBS announced New Raffle Draw for Brand new Luxurious Car. We are very excited to help our clients with it, here is the list of people, who has already won in our previous contests with car prizes: Get Car from FBS, Stay tuned - new raffle drawings for luxurious cars are coming soon and we are strongly convinced that dreams must come true. Get lucky with FBS! We are delighted to announce the launch of the IronFX August Live Trading Competition, offering the most adrenaline-packed prize yet. Just as the tension begins to build and the World Championship enters the final few races of the season, IronFX offers the opportunity to win an incredible Red Bull Air Race weekend under the Austrian Alps at the stunning town of Wiener Neustadt or a $5,000 cash prize.